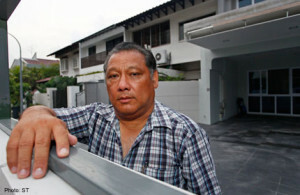 Omar Ahmat thought his neighbour, Samsodin Parman is staring at him and punched the latter several times in the face. It turned out Samsodin did not wear his glasses and could not see clearly. Samdodin suffered a bloody nose, fracture to the nasal bone and a deviated nasal septum from the blows and was given four days of medical leave. Loud music, smell of incense floating into their homes, and lit candles along the corridor. These are a few of the issues an elderly couple living in Marine Terrace claim they have to contend with. The dispute is a result of their neighbour, who in turn accused them of cooking excessively, causing their home and clothes to reek of the smell of food. The celebration of his daughter’s birthday was ruined when he punched an ex-neighbour at the void deck. The neighbours had been at odds for years over complaints about noise. Despite mediation, situation between them did not improve and things came to a head on December 2013 when Mr Kamal Hasan Mohd Sani, 36, punched Mr Firdaus Supri, 34. 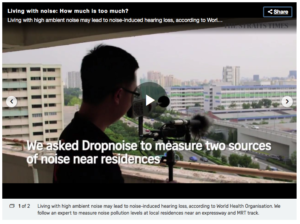 A family staying in Ang Mo Kio has been plagued with sleepless nights as their neighbour has allegedly been knocking loudly even in the wee hours. 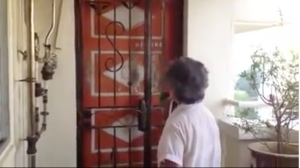 Nikki Shals shared a video on Facebook on Apr 20 of her unpleasant experiences with the neighbour. From the video, it was mentioned their second floor neighbour (below) had been calling the police and making reports against them for stomping their feet and making noises. 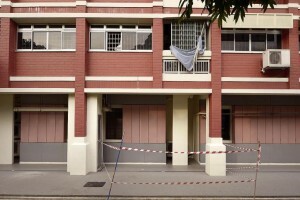 Residents of Block 612 at Elias Road are exasperated by a ‘neighbour from hell’. HDB, police, town council are unable to deal with man who is said to have plagued them by banging on his walls and ceiling throughout the days and nights for more than five years. Mr. Lance Yeo has been facing an issue at his home for more than four years and neither the authorities nor any organisations can provide any solutions to his issue. It happened at different times of the day and often come to the point of disrupting the daily lives of his family. A dispute over renovation noise between neighbours led to one of them making a police report against the other. In an interview with The New Paper, Mr Sivalingam Narayanasamy, 55, said: “What he has done is to change my surname.” The other party in the dispute is former radio deejay Daniel Ong, 36, who is now known as a celebrity cupcake-shop owner. 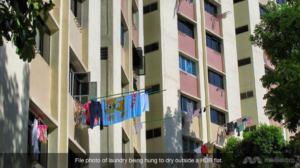 4 birds kept by one household became a flash point for residents living on the eighth floor of an Hougang flat. Ms Perdicha Chen, 48, who lives opposite the Sim family, lodged more than 20 reports with the town council, the HDB and police, and has even been to see her MP twice over the past 6 months.